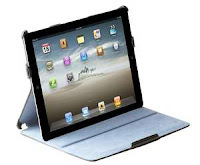 If I could buy just one more gadget this year I think I would buy the iPad 2. Yes, the iPad 2, not the 3. Why you say? Apple is still selling version two of $399 for the low end wifi model. Although it only has 16GB of storage and is not a 3G machine, it still has many of the features of the iPad 3 for less money. If you don't want to buy from Apple, you can buy it at the same price from Walmart. Most colleges are already WiFi everyone, so connectivity is rarely an issue. Although the iPad is not the best work machine, it is great for research, movies, email, Facebook, listening to music, taking notes and keeping track of assignments. Most campuses these days are using Blackboard or some other learning management tool and these will often work fine on the iPad (if your school supports the mobile app for the software). You can buy the 3G model, but expect a data plan charge of $30 to $40 a month. Ouch. BTW, I am not a big Apple fan, generally. I just hate spending the big dollars for Apple laptops, when another brand is often as good and much cheaper. That said, other tablet makers just don't seem to be in Apple's league at this point. Android tablets don't have the "instant on" and generally the sound is not as good. With Windows 8 coming, this might improve and present more options. The only downside to the iPad is the lack of standard USB ports. I have heard many people say "how do I get my pictures from my camera to the tablet? You can work around this with a card reader for a few more dollars. I think higher education is just starting to embrace the tablet and it's still primarily a tool that is more fun than it is practical. I think this will change so if you have a few graduation gift dollars, I would take a hard look at the iPad 2 while they last. The price is right.